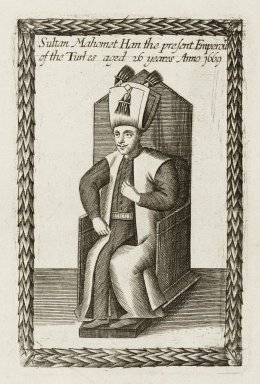 Sultan Mahomet, in Paul Rycaut’s The present state of the Ottoman Empire (1670). Folger Shakespeare Library Digital Image Collection. From new free digital archives to a new round of history wars, here are this week’s top picks in imperial and global history. For most of the past thousand years, there were no nations in Europe. It was a hotchpotch of tribal groupings, feudal kingdoms, autonomous cities and trading networks. Over time, the continent’s ever more complex societies and industries required ever more complex governance; with the French Revolution, the modern nation state was born. Prime Minister Tony Abbott will return to India two ancient Hindu statues displayed in Australia, but allegedly stolen from Indian temples. Mr Abbott will hand over the statues to Indian PM Narendra Modi when the two meet in Delhi on Friday. The two sculptures are of god Shiva, a member of the Hindu holy trinity. WITH the news dominated by stories of Americans dying at home and abroad, it might seem trivial to debate how history is taught in our schools. But if we want students to understand what is happening in Missouri or the Middle East, they need an unvarnished picture of our past and the skills to understand and interpret that picture. People don’t kill one another just for recreation. They have reasons. Those reasons are usually historical. a class general, most of them work fairly good. however, lately quite a lot of traditional video games have been developed.